But can you really blame me when the babes over at Joanie send me such adorable pieces like this jumper? As soon as I saw it on their website I fell in love. Millennial pink, ruffles and an adorable slogan that gives me the vibes of an 80's teen movie. What else could I really ask for? And luckily, I found the perfect spot to shoot it as well. I hopped onto a tube to South Kensington to visit the absolutely stunning St James's Mews, located just by the V&A. 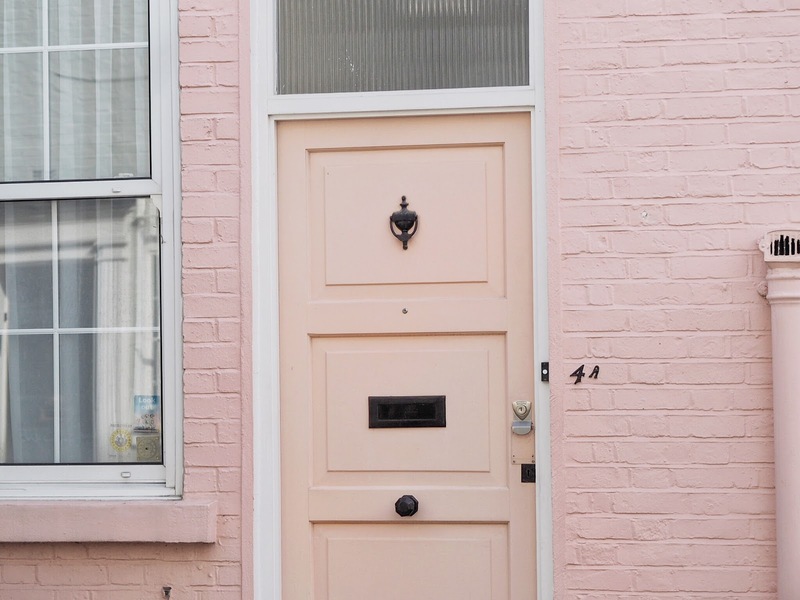 I obviously mainly visited for this house, which pretty much embodies my entire soul, but there are plenty of other adorable houses on the street too, if you're not as big a pink fan as me. 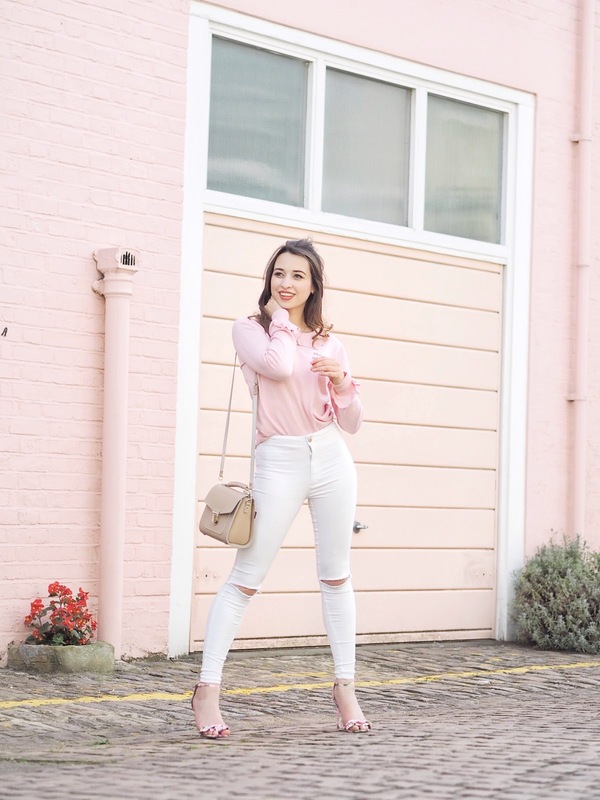 I've definitely been trying to maintain a balance between Autumnal vibes and my classic pink looks this season, and you can probably tell this by looking at my Instagram feed! And weirdly enough, I actually think it's working! Who knew pink would actually be a good colour for Autumn!? 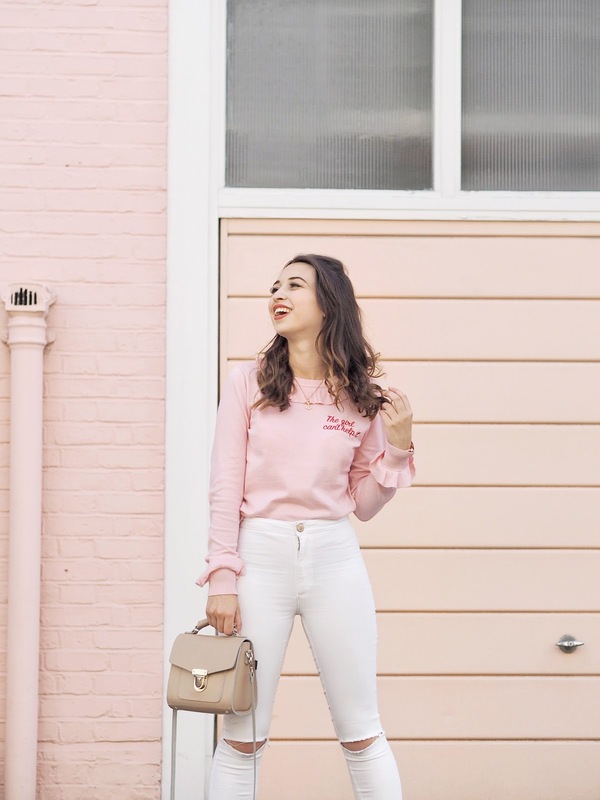 Now, these photos were actually taken a couple of weeks back on a lovely sunny day in London when I went for brunch with a huge group of bloggers. And I have to say, it was blooming lovely and might explain why I've got the biggest smile on my face in these photos! It sounds so cliche, but meeting up with other bloggers in real life really motivates me to work harder. It's also a nice reminder that we're all in the same boat when it comes to this big, crazy internet thing.